Claire wrote a post for you today about spring fashion and beauty trends. Spring has sprung and brought with it many fashion and beauty trends. From pastel-colored hair and floral nail art to bold prints and comfy shoes. Some older styles are being revived while others are being reintroduced with an added twist. 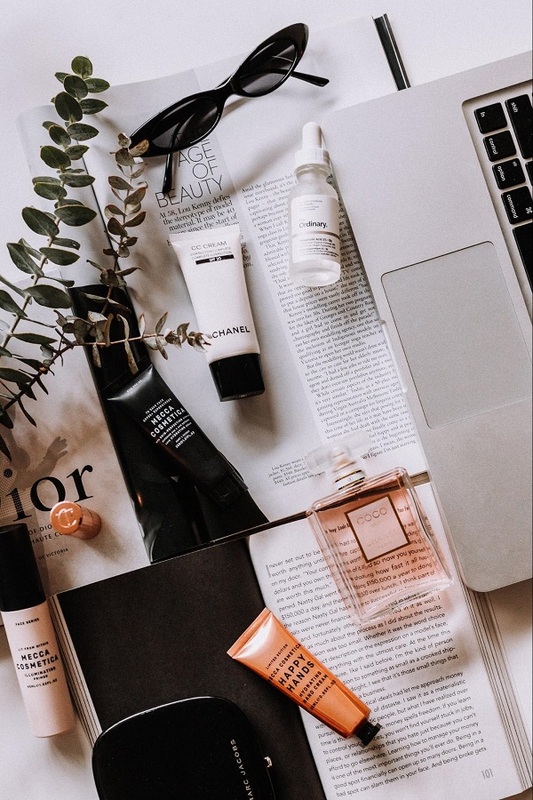 It might be hard to not miss out on any trends this season so, to help you out, we’ve gathered five tips on beauty and fashion trends for this spring. When it comes to hairstyles, it is time to pull your hair out of that messy bun you’ve been wearing all winter and give it some time to recover. Consider purchasing nutritious hair masks to regenerate your hair or make a hair mask at home. 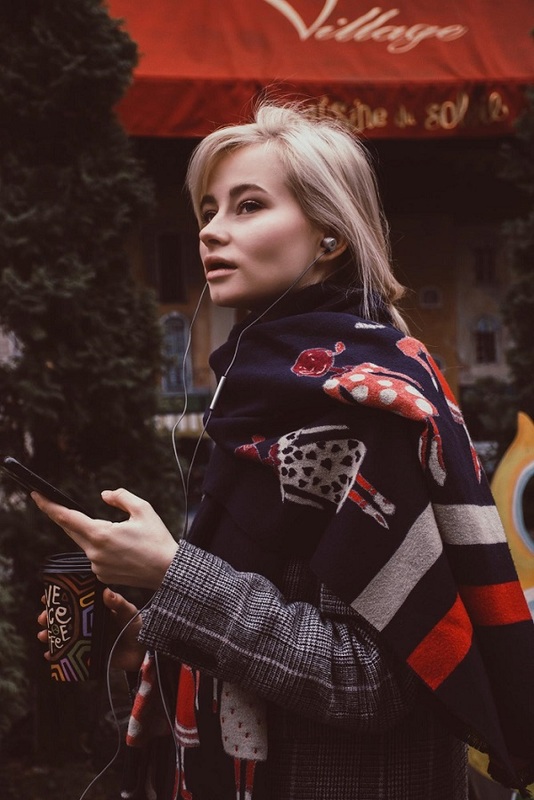 If you’re feeling ready for a change, hair colors that are in trend this season are lilac and gray – opt for temporary hair colors to try them out first. If you don’t feel like changing your hair color but still want to make it look fresh, consider changing your hairstyle. Opt for blunt fringes, a rounded bob or go for feminine brushed-out curls. If you’re on the braver side, a nice textured pixie that’s a bit longer on top will be the perfect choice for when warmer days strike. Skincare plays an important part this spring and having glowy skin and using fewer beauty products is imperative this season. Swap your moisturizer for something lighter and use an exfoliating cleanser to unclog your pores. Make sure you get rid of old, expired makeup and take proper care of your brushes by washing them at least once a week. A natural look is very trendy this season, putting the accent on the skin and its natural glow. By opting for quality cosmetics brands like Mor you’re providing yourself with luxurious products that nurture your skin and give you a chance to indulge your senses and truly pamper yourself. Floral-themed nails are a big trend this spring. 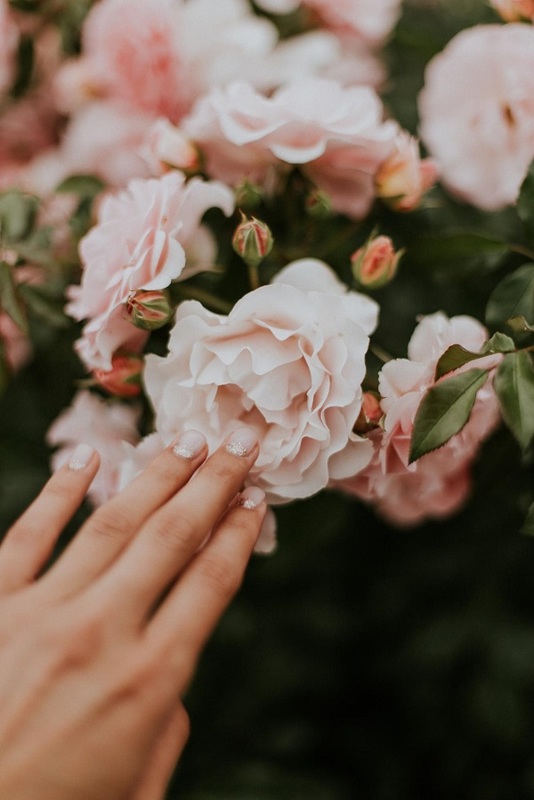 It seems like people are now coordinating their nails with the seasons, therefore, you shouldn’t be surprised to see floral nail art everywhere: from lavender designs that look like tiny art on your fingertips to pressed wildflower nail art you can DIY at home. Another trendy manicure for spring is marble nail art, and if you’re looking for a glamorous look, opt for soft glam nails, mixing glitter with pastels. When it comes to clothes, prints are taking over the fashion world. Animal prints, checks, stripes and polka dots – they are all essential elements in your wardrobe this spring. Another trend that’s becoming increasingly popular is wearing items with feathers and fringes. They add interest to your outfit and make it more dramatic. Pastel colors are another trend for this spring, especially items in lavender tones. Lavender color is elegant, feminine and easy to incorporate into everyday outfits, making sure you look trendy and sophisticated. Simple and comfortable, Teva-style sandals are taking over the fashion world when it comes to footwear. This spring, we’ll be seeing a lot of ‘dad sandals’ or ‘tourist sandals’ – they’re a sturdy alternative to flip flops yet cool enough to get approved by high-end fashion designers. Another trend inspired by dad wear are chunky sneakers. Sneakers never go out of style, and chunky sneakers are all the rage these past few seasons. They continue to be popular despite their unusual style and are super comfortable for running errands. Sandals with buckles are a great choice if you’re going for an edgy look while opting for chic micro wedges will serve as a great alternative to not-so-comfy strappy heels. Slingbacks and mules are more casual options that allow you to express your feminine side and be comfortable during the day. When it comes to makeup trends for this spring, the accent is on basic and natural. As for the clothing, wild prints and feminine colors are in, and as far as shoes are concerned, comfort is high up the priority list nowadays. Use our tips to create a wardrobe that is stylish and trendy. Thanks Claire! We are up to date now! More written posts by Claire can be found here and here. If you like to know more about Claire, click this link. I would really appreciate it if you would share my photos on Pinterest! Just hoover over the photo! I love pastels this season. They’re perfect for spring. Wow the pastel look is so amazing. It is! Happy weekend Tina. Oh that is lovely! Enjoy the shopping dear! Thanks Laurie, enjoy your weekend! So many fun trends! I am looking for a really pretty floral dress for spring but not much else. Have a great weekend Nancy! I already bought some new things, but I still would like to have a jumpsuit. Love that pastel jacket and striped dress. Really pretty. It is Julie! Happy weekend! Love all these spring trends! I have already been adding pink to my hair for fun and need to try florals and glitter on nails. Oh really? That is fabulous! Like to see it. Happy weekend Kathrine! I wish my hair would do well with a cute haircut like the model in the first pic. I think my crazy, frizzy hair would look sad but I can admire another, right? I hope your week went well Nancy and I hope that your weekend is even better! Haha, I have even worse hair! Have a great weekend Chrissy! I’d like to wear the look under the Pastel and Bold Prints heading! Have a wonderful weekend, my friend! Thanks Kim, have a good weekend! You certainly have! And how fabulous it looks on you! I always love the new season with all sorts of possibilities. I’ve been trying to go more natural with my skin care and beauty!! That’s a good thing! I never use foundation and powders so I am a bit natural already. haha, just a bit! I adore pastels in the Spring and glow, natural skin is so nice in the summer… because, anything else will melt off anyway! Yes and we have a tint already then right! Happy weekend Carrie! Love all of these trends and I’m so excited that Spring is finally here! Hope you have a great weekend! Me too! Happy weekend Suzanne! I’m all about the natural skincare and makeup! Love the nails too! Ooh, I love posts about trends, even if I rarely follow them. I love that pastel hair is a thing – I’ve been working towards that for nearly a year! Have a great weekend, Nancy! I’m all for pastels during this season!! I just wish pastel hair was easier to upkeep! It is always such a short time the color you want right! Thanks love! Nancy, such a helpful post! And beautiful images. Thanks for sharing your connection with Claire! My pleasure Darlene! Happy weekend love! Love the bold prints and soft pastels this season! Now only if the weather would warm up! Yes! Next week here! I hope it also will be warmer with you! Yes, or a new color! Thanks! Love the nails and the soft pastel skirt with the blazer. I am so excited fr Spring fashion! Me too, I already bought some fabulous skirts that I can’t wait to wear! Have a great weekend! I love wearing spring fashion! I’m really looking forward to the weather warming up! Yes me too Laura. Next week it will be warmer here! Finally! I am not fond of this season with pastels etc I want bright colors! Haha, then wear it! Do as you like! Pastels are perfect for Spring. Great fashion inspo and a great guide through spring trends. Melody always looks lovely too. It would look perfect with your beautiful long hair! Florals are always good idea! I haven’t been into pastels but depending on the color, I may be convinced! Ha ha, you will love them! Thanks Amber, have a good week!